Weekend Devotion: Insecurity is not humility. Humility is a right assessment of oneself in relation to God. Let’s explore pride. I did not feel bad about myself until I stepped into ministry. It is okay. God has healed the damage done by well meaning Christians. He is the Artist, we are His artwork. Insulting the artwork is insulting the Artist. I noticed people who ascribed to worm theology (some not all) struggled with loving others. Why? Because they thought so low of themselves. We can only give away the love we have first received. If I feel like dirt, how am I going to love, empower others? If I feel like dirt, I will most likely struggle with jealousy/comparison, and cut others down to feel better. How do earthly parents feel about their kids? Just look at Social Media and you can see it. They brag on their kids all day, every day. God loves infinitely more. He is not looking to suppress what He has given or created. God is proud of His kids. He cheers for His kids. He believes in His kids. He says we are fearfully and wonderfully made. He, through Jesus, seated us in heavenly places and made us joint heirs with Jesus. We are His workmanship created for His glory. We are highly valued by God. Jesus paid for our lives with His. God doesn’t make junk. We are not God. We are not to be worshipped, elevated to His equal or above Him. We are though to honor what He created. It brings Him glory. How did Jesus walk out humility? I never read of Him having perpetual pity parties or insulting Himself, nor pretending He wasn’t who the Father said He was. Jesus served. He did not demand others serve Him. Humility is willing to serve, even without credit/glamor. Jesus forgives. Pride holds onto grudges. Jesus empowers others. He believed in the disciples, gave them chances before they proved themselves, and knowing sometimes they would fail. Jesus accepted help from others. Pride doesn’t want help. Jesus invited the disciples to pray for Him. Jesus sacrificially loved. Pride is “me focused”-serve me, love me, bless me. Me! Me! Me! Jesus acknowledged His dependence on the Father. Jesus had a right assessment of Himself in relation to the Father. Jesus gave others chances to shine/step into their destiny. After He multiplied the fish and loaves, He invites the disciples to do the same. Jesus associated with the weak, broken, outcasts of society. He wasn’t too good to be with the least of them. He did not look down His nose on others. Jesus empowered women and treated them with respect, honor, dignity. Jesus did not have to send out business cards “Messiah”, or walk in the room and say, “I am here, bow to Me peasants.” He walked in agape love and power; it drew people to Him and the Father. Jesus washed feet. He served those who would later betray Him. Jesus said, “When you see Me, you have seen the Father.” He invites us to abide in Him so other’s see the Father. Jesus submitted His entire life to the Father. Out of love He submitted. Pride hates to come into agreement with others. It demands it’s own way. Pride melts away in His Presence. He doesn’t beat me up. He loves me to life. Being with Him and agreeing with Him leads to transformation. He, as the Masterful Surgeon, prunes away in love. We are all in process, being transformed from glory to glory. So may you and I abide in His love, stay connected to the Vine, agree with God, and love ourselves as He does. The love we receive can be poured out on Him. Then we can love our neighbor as ourselves. You are SO deeply loved. You are also prayed for. I would love to hear your thoughts on pride and humility. Leave a comment below! Woe, pride – you explain it so so well. That pride, gotta be honest I have said may times, “nope I’m not prideful, far from, I’m humble!!!! !” In reality though when I have said that is because I, for some reason belittle myself, looked down, put all above me. That is not humble – to belittle myself when God has created me to be so much more, off course not arrogant, conceited, look at me shine, shine, shine. Never a balance, it was either pride or humble (but not the right type of humble). I’ve been praying for God to purge all that is not of Him out of me, my heart, soul, my being. He does His part, but then I have to do my – be obedient to the Holy Spirits guiding. Balance in all, with me it has either been this extreme or that extreme. Balance, balance, balance. My prayer is that I will see myself the way God sees me through His Son Jesus Christ, as I do I believe that I will begin walking in the right type of humility and not prideful in any sense of the word. There is a lot that is under the pride umbrella. Thank you for your wisdom, love, imitation of how Jesus Christ walked this earth. Maribel, thank you for your comment. I have found the most effective cure is being with God, remaining in His heart and love. He gave us the key in John 15:4-5. We abide and stay connected. When we are with Him we begin to see who we really are. We get the eyes of God for us. So there is no striving. Absolutely no striving. We abide. I am still growing in love. 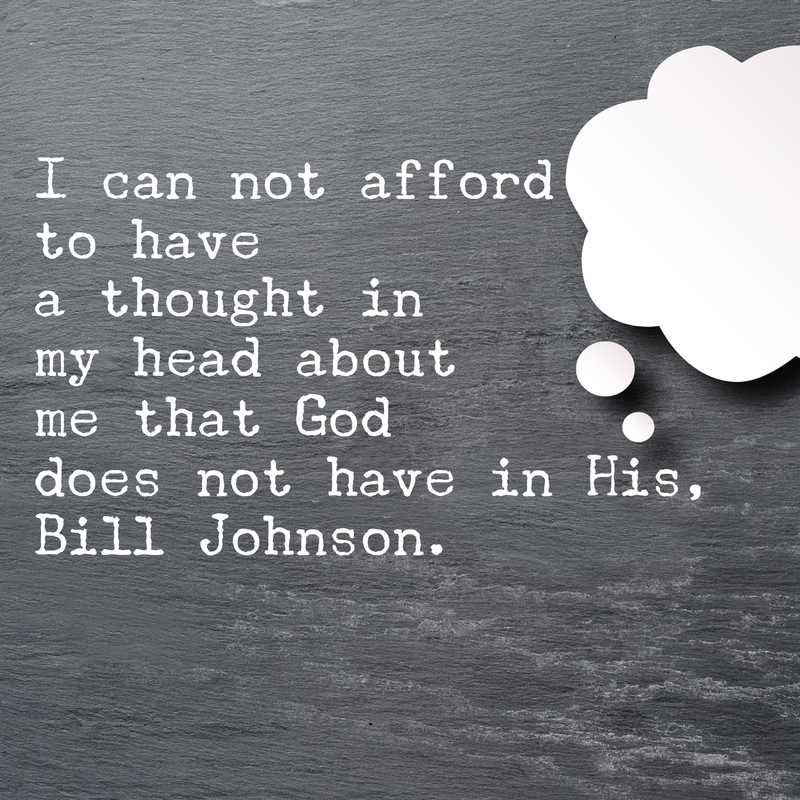 I confess His truths and revisit His thoughts about me. I let God love me. I receive, receive, receive. Once we receieve His love, then we love ourselves. Many people I have met say self deprecation is humility. Jesus never modeled this. It was made up by someone and has hurt so many people. I am not perfect. I hope to write to uproot traditions of man that are contrary to the truth of God. Jesus is our role model.